MINERALS Council South Africa said this week that it has been compiling data on junior and emerging miners, with some green shoots starting to sprout in a tough environment. In a presentation on the sidelines of Mining Indaba 2019, the Minerals Council said junior miners now accounted for about 10% of the industry, concentrated in industrial minerals/quarrying, diamonds and coal. Its definition of a junior miner is annual revenue of R500m or less, which differs from the Charter measurement of R150m. Revenue in the junior mining sector in 2018 was estimated to amount to R54.4bn while miners in that category spent R55.5bn. One picture that is emerging is a reluctance for juniors to seek public listings. Grant Mitchell of the Minerals Council said only 10 junior miners were listed on the Johannesburg Stock Exchange, compared to 1,000 on the Toronto Stock Exchange. 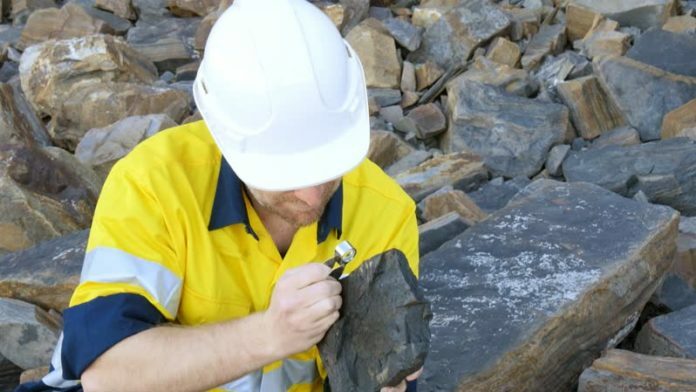 The other interesting data set unveiled by the Minerals Council was that the Department of Minerals Resources in 2018 issued 54 mining rights and 284 prospecting rights. This might suggest a renewed interest in exploration – a space where juniors are often active – but a fuller perspective will only be gleaned when comparative data from previous years is made available. Ed, “Junior Mining” is not a defined, agreed term anywhere and your article does not help. In Canada it means any listed company that is exploring or developing a project but is not yet in production, which by definition means it has zero revenue. In Australia it means something else. In SA terms the income tax act suggests that “Junior Mining” encompasses minerals exploration or production companies with less than R500m in gross assets. Previously the term has been used to apply to any mining company outside the JSE Resources index. Any term that uses a revenue number for junior mining betrays gross ignorance of the business of exploration – which can have zero revenue (turnover) for decades – which is perhaps why it is not surprising that the DMR uses a revenue number! . Very small scale mines that earn revenue should possible be described as small scale mining or artisanal mining. This includes alluvial diamond diggers, sand miners and small stone quarries. These companies will never be listed on a stock exchange.